Sometimes, one design may not seem enough for your bathroom. 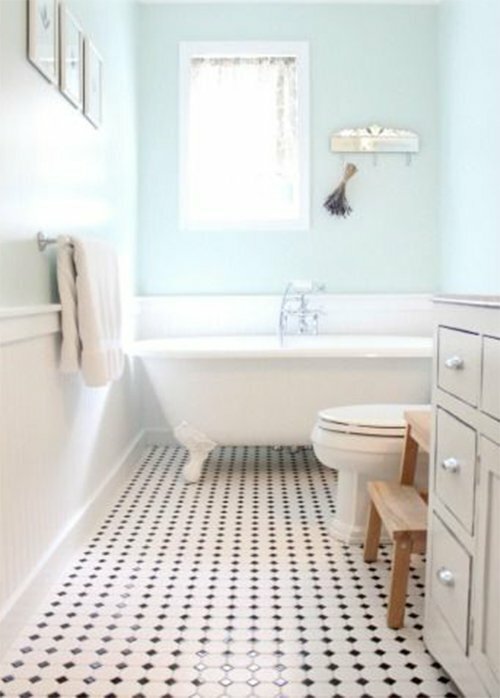 When you want your bathroom to look different and unique, you can consider merging elements of both vintage and contemporary styles. The outcome will be extraordinary and captivating. Your walls, floor, ceiling, shower, sinks and toilets can be contemporary, while vintage materials are best used on surfaces. 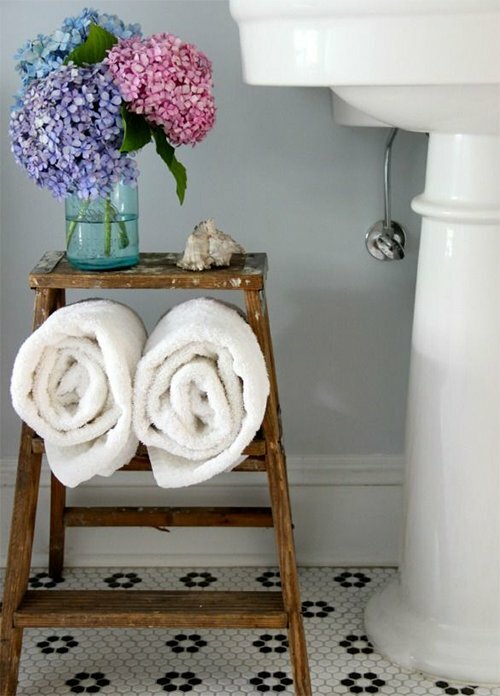 Use these liberally around the bathroom, using your creativity to create unusual combinations. The only exception where you should use contemporary materials is on fixtures and the bathroom plumbing, where reliability and efficiency are paramount. 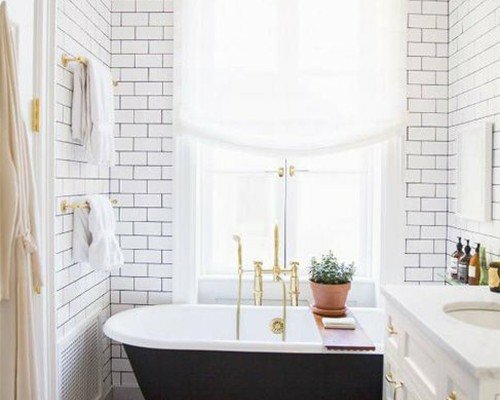 The bulk of your bathroom furnishings should be vintage, considering that a sizeable portion of the bathroom is contemporary anyway. 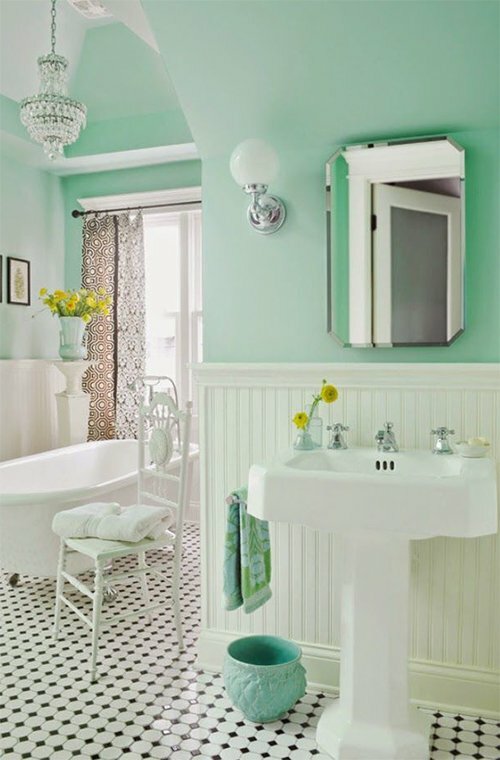 Find suitable antiques and decorative mirrors to hang in the bathroom. 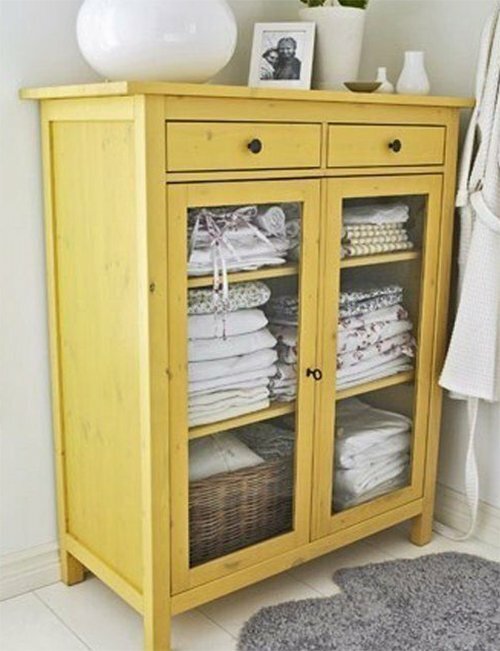 Balance these with a contemporary bath mat, door handle and towel hooks. 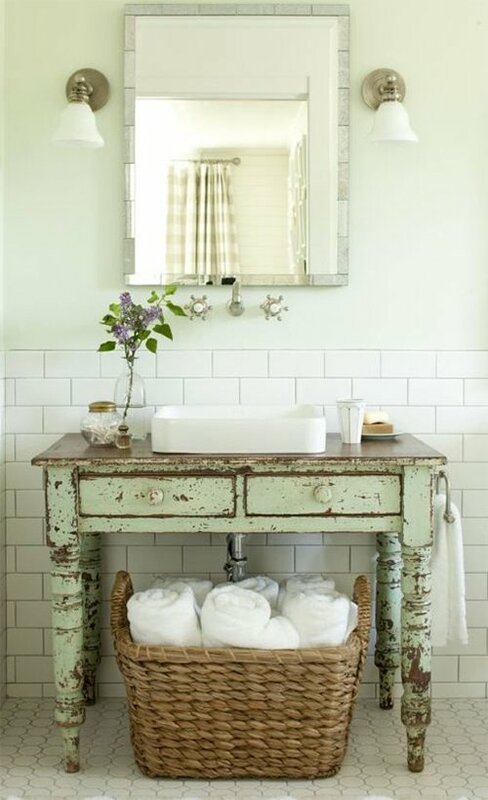 Vintage bathrooms were ornately decorated, something we do not see much in modern bathroom designs. Use plenty of ornamentation to create a true vintage look. 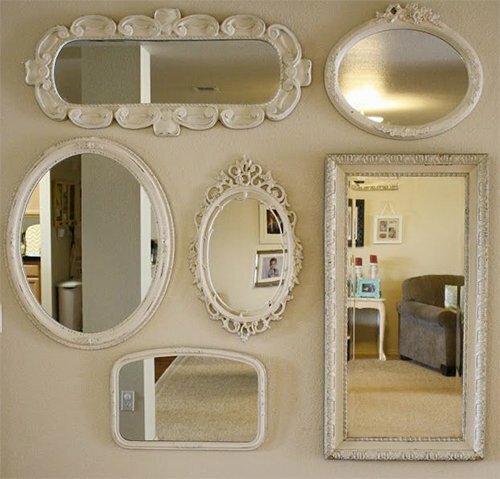 These can be in the form of ceiling decorations, medallions, picture frames, window moldings and racks. Moderation is key, therefore use only a few of these items and place them in strategic places to prevent a clumsy look. 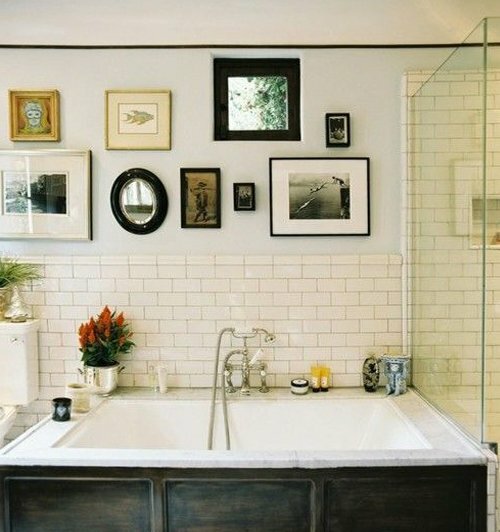 A creative mix of the vintage and the modern will create an unusual, interesting look in your bathroom.